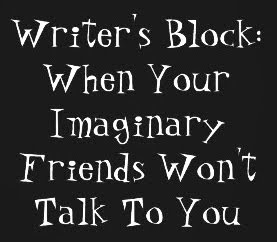 Writer’s Block, not Wine Block! So, I’m just going to tell you about some new wines I have tried in the past couple of months, that I haven’t shared with you yet. Let’s talk wine. A fantastic Pinot Noir, and a real treat for me. So when I saw my local liquor store was carrying it’s sister wine, I just had to give it a try. And I think I liked it even better. And as a bonus, it costs less than the big sister. The International Wine Review has given this wine 90+ points and there wasn’t one person I shared this with, didn’t go WOW! It’s that good. Priced at about $26 here in Nova Scotia, this is one treat wine that is worth every penny. Since Canada is celebrating it’s 150th year, I thought it would be fun to try 150 of Canada’s wines. Well, maybe thats a lot, but here’s a delicious start. The Calliope Figure 8 is composed from 55% Merlot, 35% Cabernet Franc and 10% Cabernet Sauvignon and is the perfect wine for your BBQ hamburgers. It’s perfectly balanced and has those juicy plum flavors, which would go well with just about anything you wanted to put on the BBQ. This Spanish beauty from 2008 will set your heart and your taste buds aflutter. I think ‘aflutter’ is a word! You know what I mean. The Campillo Gran Reserva from the Rioja region in Spain is a blend of two very popular Spanish varieties – Tempranillo and Graciano. The vines that the grapes are grown on are 100 years old, which makes for lower yields but a very rich smooth wine. The grapes are also harvested by hand, so only the best grapes are selected, which is also evident in this wine. Try it, it’s a winner. Have a great weekend everyone, thanks for reading, writer’s block and all. Next week let’s celebrate Canada’s 150 by looking at some of my favorite Canadian wines. There probably won’t be 150 of them but there will be something for everyone. Here in Canada, nothing is quite anticipated like the first day of summer. Maybe it’s because we live in Canada and the winters tend to be a little long. This coming Wednesday, is not only Wine Wednesday, but it is the official kick-off to Summer. What does Summer look like to you? Getting together with friends on the patio sipping wine, barbecues (with wine of course), and a full list of activities that somehow include the outdoors. Let me tell you about some of my favourite Summer time wines. I love Rose wine. It’s perfect for Summer. It’s a great appetizer wine, it’ a great sipping wine, and it’s very food friendly overall. The one I’m featuring today is a Canadian wine from Nova Scotia, Lightfoot and Wolfville. I believe this is Nova Scotia’s newest winery and only started producing wine a couple of years ago. The Lightfoot name goes back eight generations in the Wolfville area of Nova Scotia, and the name Lightfoot and Wolfville is meant to reflect the people and the place. Their Rose wine is made from delicious Pinot Muenier, and is crisp with beautiful berry flavors. This is a staple in my wine rack since I first tried it last Summer. Summer is also a great time for Prosecco, the Italian sparkling wine. I picked this Ruffino Prosecco up for the first time last weekend. I wanted to make Italian spritzes for the ladies in my apartment building . I discovered the wonderful summer drink spritz when I was in Rome. Made with orange bitters Prosecco and sparkling water . This Prosecco by Ruffino had gorgeous citrus notes and it was fresh and lively on the palate. This is great all by itself or pair it with cheese, hors d’oeuvres, charcuterie boards, and in Sangria or Spritz’s. Prosecco is very versatile and tends to be A LOT less expensive than Champagne. Summer doesn’t mean I put away the red wine. For new readers, you may not realize I am the grilling Queen of Nova Scotia. I love barbecued foods, and I love doing the barbecuing. I do everything from vegetables to chicken wings, to ribs, and as the picture above shows, sometimes all of those things in one night. This is an actual picture of my barbeque one night last week Needless to say I fed a few people I work with at the radio station. So with barbecue foods as a staple, I don’t kiss the red wines good-bye over the Summer. I mean, what’s a steak without red wine. And a steak is what I enjoyed last night with this beauty and my new wine of the week ..
My steak had a 3 oepper blend so many red wines would have done the trick . I could have chosen a Cabernet Sauvignon or a spicy Syrah! Instead I chose an old Vine Zinfandel . It’s been a while since I’ve enjoyed an old vine Zinfandel, I practically lived on them last summer. Wine Enthusiast gave this wine 91 points and called it a great wine value. All the old vine Zinfandels tend to be very fruit forward with hints of pepper and spice. Perfect for barbeque foods and it is my favourite wine to have with baby back ribs. 9 days in Italy cannot be covered in 1 blog, so here is the second part. This is a picture of our pool, and with temperatures hitting upwards of 34-degrees, believe me it was used! I joke with people that I ate and drank my way through Italy, but it’s really not a joke. The food was amazing. And not only was the food amazing, the wine was spectacular. Spectacular continued as we made our way to Banfi Winery, which by the way is a castle. So not only are the grounds stunning, this is a pretty revolutionary winery for a couple of reasons. One, Banfi was started in 1978 by American born Italian brothers, who as outsiders, went to Tuscany and purchased a lot of land. The following picture is actually a picture on the wall of the production facility at Banfi, that shows workers working the land beneath the castle. Another reason this winery is revolutionary is the way they ferment their high end wines. Fermentation is the process that turns grape juice into wine. The fermentation unit is a combination of oak and stainless steel, which was patented by Banfi, and holds 200,000 bottles of wine. Banfi owns 24 of them. Banfi sells its wine in 85 countries around the world and we were lucky enough to have our wine tasting done by Bernadette, who is very knowledgeable and knows a ton of languages. And we met the owner’s wife, Pam. Pam is married to one of the brothers, and introduced us to the winery’s balsamic vinegar. It was amazing. We had so many good wines that day, including the 2015 Poggio Alle Mura and the Chianti Classico Gran Selezione 2013 vintage. In my opinion, the terroir is really represented well in all the wines we tasted. Terroir is the characteristic taste and flavor imparted to a wine by the environment in which it is produced. In other words, you get a flavor of Italy through the wine, both from the soil and the wine-making process. As I have mentioned, Banfi ages their fine red wines in several size of barrels. There were barrels everywhere. To the tune of 7000 barrels. As you can see, it’s barrel #129 and this particular barrel holds 16,000 bottles of wine. Who else wants one? This picture is not the shelf of at a wine store, but was taken at our villa. It’s a picture of the dish cabinet in the dining room. Yes, there were only 4 of us, and yes we consumed some wine. That’s it for me this for this week… thanks for taking this journey with me. Where do I begin? Italy was amazing – the scenery, the food, and of course the wine. Spectacular. The trip for me started in Rome. From Cappuccinos, to pizza – from the Vatican to the Trevi fountain, I got to experience Rome in a day, including the infamous Italian drink Spritz. I was ready to leave Rome when we did. Lots and lots of people, and shoulder to shoulder crowds at the tourist sites. So I was happy when we went to the airport to pick up the other two ladies, who I would share this amazing journey with. And a girl couldn’t ask for better travel companions. Here I am with Cathy and Ruth, as we head to Tuscany, lead by the best tour guide we could ask for, Dominica (on the right). Day 1 in Tuscany, we were staying at a villa near Montalcino belonging to the Carpazo Winery. And Carpazo was the first wine tasting we did that week. Two of the wines from the winery are available here in Nova Scotia at a boutique wine store, Bishop’s Cellar. This is Christine, who conducted the wine tasting. This is one of the wines we drank not only at the tasting, but over the course of the entire week, and it’s one of the wine’s that’s available here in Nova Scotia. The Rosso di Montalcino was the wine I wrote about a couple of weeks ago, right after I booked the trip to Italy. The first wine we had the day of the tasting was a delicious white wine called Le Grance, which I come to discover is the name given to the fortified buildings used in the Sienese countryside during the middle ages to store agricultural goods. Caparzo decided to call the area that the vineyards that yield this wine are located, Le Grance, and in 1985 produced the first bottle of. Not only does fermentation take place in oak, part of the aging does as well. This means a full-bodied white wine with lovely dried fruit flavors on the palate, and a great wine for white meat, fish and pasta. La Casa is the section of the Carpazo winery where we stayed at our gorgeous villa. And thankfully it had a pool. It was so hot, that pool saved our lives many times. Here’s a picture of the best travelling companions in the world outside the front of the villa. Dominica, Cathy and Ruth provided the most fun, and my favorite parts of the entire trip was to eat supper at the villa, and then we would sit around and drink wine and tell stores and laugh so much. There was no internet, which was a great thing, because it gave us the opportunity to talk and to get to know each other. Our villa was surrounded by vines, and the vines made this wine, the Brunello di Montalcino DOCG. DOCG stands for Denominazione di Origine Controllata Garantita, which is a mouthful. In English, it basically means Designation of Origin Controlled and Guaranteed, and it’s the highest classification given an Italian wine. Christine was telling us they have to follow 54 rules in order to get this classification. This wine is from a single vineyard and contains 100% Sangiovese fruit. Aged in french oak, this wine has an aging capacity of 35 years or more. Most wines are meant to be consumed quite young, because they will lose their fruit flavors and freshness if aged too long. This is one of the exceptions. The Carpazo Brunello di Montalcino Riserva, and Riserva means it was aged for a longer time. We enjoyed the 2011 vintage and what I found really interesting about this wine was that it was aged in both French oak and Slavonian oak. Slavonia is a region in Croatia, and the oak barrels produced there are often quite large, which imparts a subtle oak flavor on the wine and the tannins are softer. Tannins are those things in wine that make the sides of your gumline come alive. This is a full-bodied wine which is meant to go well with grilled meats. They probably made it to pair well with the wild boar that roam the region and seem to make it on every menu. We did get to experience wild boar that had been made into a dried meat, and it was quite gamey. Not my favorite so I didn’t order it when I went to a restaurant. Here’s a picture of a stuffed wild boar that we saw in one of the towns. It’s the closest we got, much to mine and Ruth’s dismay. You can’t walk around the hills of Tuscany at night because they are so plentiful. We didn’t want to come face to face with one, but we were hoping to see one at a distance. Us sitting around enjoying a glass while Dominica cooked an amazing meal. Well that’s it for me this week. Stay tuned, there’s more of Italy to come next week.